For this port of the original game, redbook CD music was used, as would be the case on the Saturn/PlayStation 1 port. Enhanced graphics compared to the 16-bit console versions. Lacks the level Lorenzo's Soil (AKA: Lorenzen's Soil), which was present in all other versions of the game. 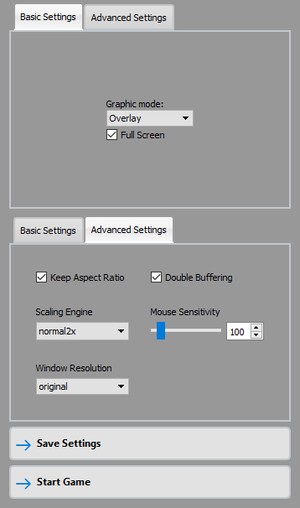 Generally runs at a sluggish speed compared to other versions, and is full of graphical glitches, particularly at the edges of the screen. Controller support is notoriously poor. Bundled with Earthworm Jim in The Whole Can 'O Worms bundle. 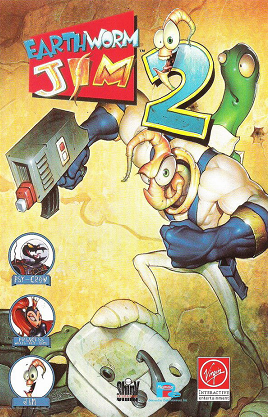 Bundled with Earthworm Jim. Pre-packaged with DOSBox. Bundled with Earthworm Jim and Earthworm Jim 3D. Pre-packaged with DOSBox. ↑ File/folder structure within this directory reflects the path(s) listed for Windows and/or Steam game data (use Wine regedit to access Windows registry paths). Games with Steam Cloud support may store data in ~/.steam/steam/userdata/<user-id>/38490/ in addition to or instead of this directory. The app ID (38490) may differ in some cases. Treat backslashes as forward slashes. See the glossary page for details. This page was last edited on 18 March 2019, at 12:12.